This week we welcome a notice of appearance from Gregory Segall, the Chairman and CEO of Versa Capital Management LLC. PETITION: Everyone is talking about "too much money chasing too few deals." Can you enlighten us a bit as to your experience looking to acquire or invest in middle to lower middle market companies (in or out of bankruptcy)? PETITION: Given how disruptive technology has become and how quickly "change" appears to be occurring, how do you evaluate management teams and scrutinize their projections today? Have you changed any methodologies from, say, 10 years ago? I see two layers to the question, one being the effects on a business of technology and how that impacts projection reliability, and then management competency in making projections. On the former, most everyone’s crystal ball has been off both in identifying where technology may be applied to or disrupt a given business’s expectations. On the latter, the quality of management projections, whether 13 week cash flows or 5 year valuation models, is usually a function of how long a given companies business cycle is (ie fast food has pretty good short term insight but pretty foggy about 1 or 2 years out, vs. building locomotives usually cannot do much about short term but can have pretty good visibility over the medium-longer term given the procurement cycle). Sprinkle all this with the question of management’s competency and command of the business, both from the forest and the trees, and that will tell you something about projection reliability. PETITION: Versa owns Avenue Stores since its 2012 bankruptcy. The company once had 500 stores and now, according to its website, it has 262. What lessons have you guys applied to that business and what continued evolution is in store? Where do you see retail in 5 years? 10 years? When we acquired Avenue its store base was immediately pared to about 300, and over the last few years the company has been letting leases roll off where stores are less productive; fortunately Avenue has always had a strong and sizable eComm/direct business (~33%) so the store roll off gets offset by ecomm growth, and going forward where possible a retailer like Avenue can operate in a much smaller footprint (ie 3,000 sqft instead of 5-6,000) and therefore more profitably so they are executing that shift wherever they can. Retail will continue to transition for years to come, and it is somewhat helpful that landlords are starting to become more realistic about the need to make accommodations or lose tenants. “Retail” has always been a rough neighborhood; I expect it always will be whether 5 years or 10 years out, will just be a new set of challenges. PETITION: The bankruptcy business has changed considerably in the years you've been in the space. What is the biggest issue you see today with the bankruptcy process and what's your remedy to solve it? Aside from the bankruptcy code looking like the tax code in terms of all the “special interests” getting their fingers in the pie going back to the BAPCPA amendments, there used to be a much greater emphasis on seeing debtors reorganize. I won’t be the first to observe that most mid-market debtors “can’t afford to go bankrupt” given the cost and other pressures including timing and all the parties who keep trying to elevate their priority resulting in rapid administrative insolvency. Since “high costs” are certainly a difficult issue but almost impractical to reduce to a fixable sound bite here, If I had to choose one or two remedies it would be getting rid of or extending the shortened deadlines for lease assumption or rejection, as well as reducing the number and kind of pre-petition creditors that can elevate their claim priority. PETITION: In addition to a lot of accomplished, senior folks like yourself, we have a great number of junior professionals and students that read PETITION. What is your advice for them? What is the best book you've read that's helped guide your career? When starting out early in your career, don’t every view any task as being beneath you - add value by being seen as a go-to resource, make yourself like fly paper and things will stick to you, increasing your role and experiences in your organization. As for a book (or four), gIven how often it is cited It seems almost passe to reference Sun Tzu, but it is a great book on strategy and tactics; also recommend “How to Win Friends and Influence People” by Dale Carnegie, another classic - success in this business, or really in any, is often all about working with people. Regardless of your politics, “Rumsfeld’s Rules” is also a terrific summary of common sense management techniques from a guy who has had enormous public and private sector experiences. And finally from the standpoint of bankruptcy, I highly recommend “Feast for Lawyers” by Sol Stein - if you can find it, a great if slightly dated primer on the reorganization process, and a great read - more like a novel though based on true stories. For those who are new to us, our “Notice of Appearance” feature provides an opportunity for a professional in the field of restructuring to provide us all with some perspective about the markets generally, the industry, and professionalism. This week, we dialogued with Lance Gurley, a Managing Director on Stephens’ restructuring and special situations team. ﻿PETITION: There has been a surprising increase in recent distressed activity in the oil and gas space. News abounds about professional retentions in E&P and companies correlated to oil and gas are filing for bankruptcy (i.e., most recently, PHI Inc.). What is this attributable to and what differences do you expect to see in the next go-around of oil and gas restructurings vs. the 2014-2017 period? What more should have been done in that first wave to ensure these companies didn't ultimately end up in (or back in, as the case may be) into bankruptcy court? Or was this just a failed option play on oil prices? The return of restructuring work in the energy sector is, broadly speaking, tied to companies that either (a) harbored denial about the need to restructure when the market turned a few years ago, or (b) restructured poorly the first time. In the first category, a lot of bondholders have learned to be comfortable with coupon clipping as they see Boards/CEOs continue to burn their furniture hoping for a recovery on the other side and preserved equity value. These companies tend to fall somewhere between hope as a strategy and outright recalcitrance. Neither are great ways to run an enterprise with funded debt. But it’s difficult to get a board to understand that when their continued role depends on them not understanding it. In the second category, some companies restructured around a more aggressive (drilling dependent) business plan than some industry professionals saw as reasonable at the time, and never really fixed their strategy. They are more representative of the real issue in the market: many of these companies (and their new owners) had an imperfect understanding of what the market would reward in this new normal pricing environment — that cash flow is king. Just ask the average ‘back a management team’ PE investor how offloading that development play is going. Not a great time to be selling a development acreage in the supposed “core” of a new resource play. PETITION: You're based in Texas. A significant amount of healthcare action has taken place down there. What do you make of all of the filings we're seeing in the continuing care retirement community and other specialty healthcare provider segments (e.g., behavioral health, etc.)? Bad business models, frankly. The SQLC/Seniority filings were a great example of that: I’ve never been a fan of healthcare models that require elderly patients to, um, “move out”, in order to make way for a new dues paying member. The financial viability of the CCRC companies and the wellbeing of their patients/tenants seem to be in conflict. I’m not a healthcare professional, but playing real estate roulette with geriatric care in the balance is not an endeavor I could see working well for anyone involved (save for perhaps healthcare professionals?). PETITION: Your firm is a middle-market oriented investment bank. What are some things you're seeing that are specific to the middle market space that give you the sense that distressed activity might pick up there? Or, alternatively, do you see a system awash with capital sparing the middle market from some needed fixes? The middle market as we define it — $250mm to $2.5bn — seems to be turning towards malaise. More and more of the equities my research colleagues cover are trading under half of their 52-week highs; my capital markets colleagues are hearing major accounts talk of less and less deals in the market, etc. Does that mean we should all batten down the hatches for a bankruptcy bonanza? That would be wishful thinking. Practically, that means we are using restructuring technology to solve issues a long way from the courthouse. We are seeing a deluge of liability management work, nipping and tucking balance sheets to fight for another day. Some companies will recover and some will not, but until we have a meaningful catalyst (Interest rates? Recession? Vaping finally being declared bad for your health? ), it’s unlikely to be the distressed wave we experienced in the last cycle. PETITION: We received a lot of feedback to our note in "Sears = Drama Queen. PLCE = Future Seer" wherein we noted "most of the retail chapter 22s we’ve seen have come about specifically because the restructuring were not, particularly, holistic. Similarly, we’ll see what happens in the oil and gas space: in many instances there, financial advisors weren’t even retained and in some where financial advisors were retained, the retention was for bankruptcy reporting purposes only." Where do you come out in this debate? In your view, have chapter 11 filings over the last few years accomplished all that they could in a holistic way or have they left issues lingering that should have been resolved? I agree that many restructurings have not been as holistic as they could’ve been. Bankers and lawyers are driving deals with an intense focus on the balance sheet, and that’s healthy, but that’s left fundamental problems unsolved in many instances. Ch. 11 is a tool that can be transformative if it’s allowed to be but creditors and management teams are loathe to take their medicine on strategy when they are already justifying significant impairments to the balance sheet (especially if those strategy shifts result in further losses). That said, it’s tremendously challenging to enact change through Ch. 11 on the fly and without significant pre-planning — it’s not only too expensive, it’s too risky (like my grandfather used to say, “don’t try to clean a wood-chipper if it’s plugged in.”). If a debtor needs to reject a contract in order to implement a strategy shift, the debtor and plan support parties would be wise to put that in motion long before finding themselves past the bright line of a petition date. At some point however, restructuring professionals have to rely on management teams that get MIPs to run companies well actually running companies well. PETITION: Finally, for our younger readers, what book have you read that has guided you most in your career? The books that have “guided” me are all boring, so I’ll answer perhaps what has been most influential. Someone gave me a copy of “Barbarians at the Gate” when I was an undergrad and it opened up this crazy world we work in to me. I’d highly recommend it. But I tell young people coming to work for us to read Andrew Ross Sorkin’s “Too Big to Fail.” The financial crisis was so meaningful to so many of us, I can’t imagine starting a career that interacts with the markets and not appreciating it fully. This week we welcome an appearance from Sabrina Fox, a leveraged finance attorney and high yield bond covenant analyst with over 15 years of experience in the European leveraged finance market. She currently acts as Executive Advisor to the European Leveraged Finance Alliance (ELFA), a trade body comprised of investors in European bonds and loans formed to support the resilience of the market through increased engagement, disclosure, and transparency. PETITION: Dun & Bradstreet was a recent test for the capital markets. What were the results there and what do they portend for capital markets activity going forward? There are three important lessons to take away from Dun & Bradstreet. One: Sponsors are thinking tactically about managing their investments through a down cycle. They want to maintain flexibility to access dividend capacity and reshuffle the capital structure, especially when the issuer is heading into stressed territory. The covenants for Dun & Bradstreet’s bonds and loans maintain significant documentary flexibility (including, in the bonds, access to dividend capacity even if the issuer is in default) despite pushback from investors, and the new owners were willing to pay up for it. That’s telling. Two: Law firm restructuring advisors are talking to the capital markets guys. This means that the capital markets guys are amending and adding provisions to covenants in the primary that will foreclose potential arguments by bondholders about aggressive uses of covenants down the line. This will make it easier for issuers to (for example) use Unrestricted Subsidiaries to benefit equity and other junior stakeholders to the detriment of bondholders if things get choppy. In Dun & Bradstreet, this played out through a broader definition of what constitutes a “Similar Business” (expanding potential capacity for investments in Unrestricted Subsidiaries), and the inclusion of language that makes it crystal clear that recent shenanigans playing out in the retail sector (and the courts) is contractually permitted, essentially ripping a page out of the bondholder playbook. Three: Covenant flexibility has become an element of arbitrage by borrowers, increasing the competitive pressure between financial instruments that is fueling the race to the bottom in covenant erosion. Large LBOs are often financed with a mix of bonds and loans, and if an issuer can get covenant flexibility in a loan that it’s struggling with in a bond, it may decide to upsize the loan, making it easier to push through covenant flexibility in the bond – or vice versa. The rise of the private debt market only increases sponsors’ arbitrage opportunities. PETITION: High-yield investors suffer from a collective action problem and issuers take advantage of the information dislocation, too much money chasing too few deals, and FOMO to squeeze investors, flex pricing down and weaken/eliminate covenants. What can investors do better to combat these efforts and level the playing field? Stay smart and engage effectively. Covenants are a lot more complicated than they were a decade ago, and advisors to borrowers have months to prep deal terms that investors get only a few days to review. Investors who stay abreast of new covenant loopholes and focus on potentially problematic flexibility are best placed to weather challenging markets. And as the markets become more challenging, the ability for investors to engage effectively is more important than ever. Investors need a forum to speak with a single voice – which is one reason that the European Leveraged Finance Alliance came into existence earlier this year. ELFA is an independent buyside trade association focused on improving disclosure, increasing transparency, and encouraging engagement between market participants in the European leveraged finance market. As Executive Advisor to the group, I’m working hard to guide the development of ELFA for the benefit all who access the capital markets, from individuals investing money so they can retire comfortably or send their kids to college, to companies seeking to access capital, and everyone in between. PETITION: There has been a lot of talk lately about leveraged loans. But private lending through BDCs (public and private) and other direct lending vehicles is exploding. Is this an area fraught with danger and what are the ramifications? Absolutely. This growing source of capital gives sponsors one more way to divide and conquer to get more flexible terms. The industry is largely unregulated, opaque, with redemption structures that vary widely from fund to fund, creating unpredictable risks of potential runs. As with so many elements of the financial markets, the best way to address the risks is first to understand them, and the Alternative Credit Counsel (ACC), an organization sitting under the Alternative Investment Management Association (AIMA) are doing excellent work to focus the debate about financial stability in the private debt market. If regulation is the answer, these groups are helping to gather information that would facilitate the formulation of a sensible regulatory approach to the issues. PETITION: What are the biggest issues confronting the European market that US investors don't have to deal with currently? What are one or two things that investors haven't been as focused on as they should be? Europe is a far more fragmented market than the U.S. There are more banks and law firms competing for business, creating intense competition. These competitive pressures are one of the factors driving covenant erosion, as advisors seek to differentiate themselves through documentary innovations as a way of gaining market share. If one law firm or bank won’t give a sponsor the terms they want, they can go to the next in line – and there’s a long line of institutions vying for business. PETITION: What is the best book you've read that's helped guide you in your career? It’s not a book, but the ABA Model Negotiated Covenants and Related Definitions holds pride of place in my bookshelf. Covenants have strayed far from those humble beginnings, so it’s important to remember the guiding principles reflected in that document. PETITION: What question should we be asking that we haven't? You guys are clearly great at what you do, because I can’t think of one! For those who are new to us, our “Notice of Appearance” feature provides an opportunity for a professional in the field of restructuring to provide us all with some perspective about the markets generally, the industry, and professionalism. This week, we dialogued with Sean Cannon, a Director at GLC Advisors & Co. PETITION: Your shop does a lot of creditor-side representations. What can you tell us about cooperation agreements and how are those shaping restructuring negotiation dynamics? We’ve seen that in appropriate situations, cooperation agreements can be an extremely powerful tool to combat coercive transactions launched by companies. In those instances, it is imperative that creditors present a united front and cooperation agreements are one way to formalize that unity. There are certainly challenges to negotiating effective cooperation agreements – the devil is always in the details, and understanding precisely what parties are agreeing to cooperate on, the voting provisions, the term and what can trigger a termination is critical. However, as we saw in iHeart, it is possible for creditors (bonds and term loans) across multiple tranches of debt to align interests via a cooperation agreement in an extremely effective way despite differences in maturities and collateral. PETITION: There were a significant amount of "Chapter 22s" in 2018 and it looks like 2019 may take it to another level (e.g., Payless, Gymboree, Southcross, Vanguard). What do you attribute these repeat filings to and how can they be avoided in the future? It’s industry-specific to an extent, so I’ll pick on everyone’s favorite: retail. The sector is going through a massive paradigm shift and to an extent many investors are still guessing what a successful retailer looks like in 2019 and beyond. For the Chapter 22s, the first time around there was of course a view that the underlying businesses were viable. In some cases that assumption is simply proving to be untrue and the businesses models have failed. I also think investors mis-priced both value (real estate, intellectual property, customer loyalty programs, etc.) as well as risk (trade credit, consumer behavior, etc.). While views on the future of retail will undoubtedly evolve, I believe we’ll continue to see brick-and-mortar retailers struggle to reimagine themselves for the future. PETITION: What is your assessment of the distressed opportunity set in 2019 and what is one thing that you think people aren't focusing on that they should be? I’m continuing to spend time on the retail and consumer sector, and also on healthcare, specifically acute care providers. The healthcare cycle is tricky to predict given its dependence on public policy, but the fundamentals are extremely challenged and we believe a breaking point is inevitable. I also think the muni space is interesting. Investors have gradually started to pay more attention in the wake of Jefferson County, Detroit, Puerto Rico and others, but there is a massive amount of debt outstanding and many issuers in difficult financial condition. The public pension deficit alone in the U.S. is frightening – there something like $1.6 trillion of unfunded pension liabilities at the state level alone. Couple that with historically weak credit documents and poor reporting, and I think we could see a wave of municipal restructurings. PETITION Note: To your point, take a look at the Sacramento California school district. PETITION: What is the best book that you've read that's helped guide you in your career? Tough question. I read a lot of different stuff, but I’ll say that most of what I read is not directly related to my career. Sure, I’ve checked off all the “required reading” for finance and restructuring, but I’ve always viewed reading as a way to diversify my knowledge beyond my career and personal experiences (important, if for no other reason than to not be the most boring person at a cocktail party). I like historical nonfiction – I recently finished Battle Cry of Freedom, probably the most comprehensive book on the American Civil War, and also Once is Enough, a true story about a couple who attempted to sail a small boat around Cape Horn in the 1950s. Like I said, lots of different stuff. PETITION: What is the best advice that you’ve been given in your career? This week we welcome a Notice of Appearance by Bob Burns, a Partner at Bracewell in the firm’s New York office. We edited the dialogue lightly for content and length. Enjoy. PETITION: You have a lot of experience in the distressed shipping space. That space, however, has been fairly quiet of late with some exceptions (e.g., Toisa, Emas Chiyoda). Danaos Corporation ($DAC) got an out of court deal done. What do you foresee in the near future in the space and what is one factor that not enough people are considering? The macro risk is the large amount of tonnage still on the Chinese and Korean order books. A lot of that will come on line in the next two years or so. Reaching capacity equilibrium will continue to be a challenge given the building boom that led to the downfall to begin with. If rates tick up for a stretch, the order books will start to fill. If they tick down, then there is too much tonnage chasing too little freight. From a micro perspective, the instability in the Middle East is always a risk, but a lot of the players in that space have shored up their balance sheets, so they should be able to weather such storms (maritime pun intended, of course). PETITION: With Venezuela struggling and Iran under sanctions, oil has been surging in price. What does this mean for the oil and gas exploration and production industry? Is it completely out of the woods or will there continue to be pockets of distress there over the next year? If the latter, some examples would be appreciated. With WTI in the $60-$70 range for the last three months, and the tightening supply due to the cluster-(insert NSFW word here) in Venezuela and Iran, I think the E&P space is largely out of the woods from an industry perspective. A lot of the companies that came out of restructuring had post-reorg projections with oil in the $55 to $60 range. There are still one-offs that are candidates for workout, but that will always be the case. I plead the Fifth on what companies might have a future in Delaware or Houston, but I think they are out there. PETITION: Years ago it seemed like a few large firms dominated all of the company side deals. Then the market share seemed to spread out a bit as firms like Bracewell, Akin Gump and Milbank started filing debtor cases. It now feels like massive concentration is back. In your view, what are the most significant macro trends affecting the industry and are they for better or for worse? I am not sure the massive concentration ever ceased to be the case. From the Bracewell perspective, a lot of our debtor work was for existing clients, although we did get called in to a few cases due to conflicts or because of our specific expertise in both the shipping and E&P spaces. Shameless plug: one thing that has been helpful to us in positioning in debtor cases is our ability to put very senior and experienced partners on the day-to-day deal team. I had one client whose board of directors insisted she use a ... ahhhh … Big Name Firm. I told her she would probably be working with a partner who wasn’t even in law school back when I was doing mega-cases. She called me many times to lament that I was spot on. Is this where I am supposed to say Sun Tzu’s Art of War so I look learned and cultured? Sorry to disappoint, but I’ve never read it. I really think Robert Caro’s three-tome biography on LBJ was one of the most influential. Say what you want about LBJ and his cronies, but they were a very strategic, tactical (and conniving) group of thinkers. I was reading Caro’s books when I was a younger lad and they really shaped my ability to be a strategic, creative thinker (ouch, hurt my arm with that pat on my back). PETITION Note: No worries, Bob, we pat ourselves on the back all of the time! This week we welcome a Notice of Appearance by Jonathan Tibus, a Managing Director at Alvarez & Marsal North America LLC in the firm’s Atlanta office. We edited the dialogue lightly for content and length. Enjoy. PETITION: You have a lot of experience in the distressed restaurant space (e.g., Ignite Restaurant Group, Real Mex). What do you foresee in the near future in the space and what is one factor that not enough people are considering? It’s a consolidating industry, so in the near future I just see a lot more consolidation - obviously in casual dining but spreading to fast casual after that. In the last decade, the number of dining establishments in the US has grown at twice the rate of the population, while traffic has been either eroded (no one needs to go to a sports bar to get their game anymore) or siphoned off by grocery stores, c-stores, and meal-delivery services (the restaurant versions of “blame the millennials” and the “Amazon effect”). This has led to lower unit volumes and higher fixed-cost hurdles. On top of that, there’s pressure from every single cost driver: Minimum wages are up, suppliers are consolidating and increasing prices, and compliance requirements keep expanding (ACA, ADA, PCI, NRLB “joint employer” rule, TIPA, local wage and hour rules – it’s a lot). Oil prices are inching up, too, which leads to higher corn prices, which leads to higher feed prices, which leads to higher chicken, pork, and beef prices. Also, for the MAGA! reference, steel tariffs are pushing up keg prices. Those are the known-knowns, but they’re also collectively the one factor people in our industry often miss: True restaurant turnarounds are a grind at best – can you name one that worked? They require a long time, significant capital, a good team, and then good luck. I’m in meetings all the time where lenders or sponsors start in on “let’s do a 2-for-1 coupon!” or “let’s sub in Tilapia for Cod!” I always think “what are we doing here guys?” There’s no easy button - either commit to invest in a long-term rebuilding plan with a team that you trust, or just sell it to someone else who will. Save yourself the wasted effort in the meantime. Your old, tired store isn’t coming back to life because you put out artisanal boneless chicken wings. It’s all about hiring well, running good shifts, and taking care of your customers so they’ll want to come back. PETITION Note: It doesn’t look like labor pressures will be letting up anytime soon, whether in terms of quality of hires or cost. PETITION: A&M appears to be making a greater push -- in this sound economic environment -- to provide "performance improvement" work to diversify away from just pure restructuring advisory work. Is this accurate and to what degree is the approach to PI different than restructuring work? [O]ur push into PI creates two important opportunities: First, a presence at a different place in the corporate life-cycle than restructuring. For a non-distressed restaurant, for example, we have resources in strategy, real estate, supply chain, marketing, and human resources. Targeting those areas for improvement while the client is still healthy, has engaged management, and ample liquidity means the death spiral may never begin. Second, PI work gives us the opportunity to approach companies directly, as opposed to relying on lenders, sponsors, and law firms for referrals. This will be of great importance as we continue to grow the firm. And, of course, we believe that we have a natural edge in the space given our operational heritage and restructuring DNA – we like being in the field or at the plant making changes rather than in the office making slide decks. PETITION: You work in the Southeast. What trends do you see in that region of the country that may lead to geographically specific restructuring activity? I definitely cut my teeth on southern-specific industries … like farming, textiles, and poultry processing, and those do seem to be back on our radar. Farm credit has been drying up as the major lenders scale back or get out and the remaining lenders hike up fees and interest. Tobacco is increasingly challenged in North Carolina as competition from other countries is pricing our farmers out of the market (again, millennials – earlier generations favored Carolina tobaccos for their flavor, consumers today don’t really care about origin). And of course, Hurricane Michael just drowned everyone’s crops, and killed a bunch of hogs and turkeys and chickens. Could be time for all the guys who geared up for the Ch. 9 wave a few years back to start studying up on Ch. 12. PETITION: There has been a proliferation of restructuring advisory firms in recent years. How does that affect your approach to business development and do you consider industry consolidation (Alix/Zolfo) to be a long-term positive or negative for A&M? Interesting question in that it addresses consolidation and proliferation at once, and I think one is definitely driving the other. As a firm grows or consolidates, the professionals naturally become more narrowly and deeply focused, leading to a depth of resources that a smaller firm can’t compete against. Need a guy who knows the shipping business in Argentina? We’re going to have that. California wage and hour laws? Got it. There’s comfort in that for a lot of clients, so we highlight that whenever we can. Second, the firm starts to get a lot of controls and infrastructure to help manage the business. These are necessary at some point, but for some people this feels like bureaucracy and politics. The people I’ve known who started their own shops are energetic, ambitious guys who are just happier not dealing with that part of the business, wanted to remain generalists, and didn’t want to feel like part of a machine. I don’t see it necessary as a positive or a negative for A&M – we’re going to win when we compete for clients who value our depth, breadth, capabilities, and brand. The smaller shops can’t do every job, but they can also go deeper into the middle market to find the right roles. I do think that we – the bigger firms – have a natural advantage in the most difficult part of the business right now: hiring good people with 4-7 years of experience. At that level, we can sell candidates on our stability and breadth and also offer a brand-name for their resume while they’re building their early careers. I’m trying as hard as I can to answer this with “A Confederacy of Dunces,” which is my favorite book. It’s hard to call it a business book or a career book, though, so I’ll go with “The Goal” by Eliyahu Goldratt instead. For a guy with a degree in English, it was a digestible introduction to operations analysis and management, and it showed how thinking about problems analytically can actually lead to solutions. It’s rooted in manufacturing, but the lessons apply to us, too: Turnaround people have an instinct to roll out lots of initiatives at once. Thinking about system-wide capacity and constraints with our clients can help control that instinct, forcing us to do smart stuff, not just lots of stuff. As the book says, activating a resource is not the same as utilizing a resource. Plus, it has Herbie the fat cub scout as an important character, and he reminds me of a young Ignatius P. Reilly from “Confederacy”. Everyone should read both. This week we welcome a Notice of Appearance by J. Scott Victor, a Managing Director at SSG Capital Advisors LLC, a boutique investment bank based in Philadelphia. We edited the dialogue lightly for content and length. Enjoy. PETITION: You've carved out a niche in the middle market. What is your assessment of distress in the middle market today and what may we expect in that area in the next 6-9 months? There is always distress in the middle market. Regardless of the macroeconomic environment there are universal constants: undercapitalization, too much debt, poor management decisions, sales declines, lack of margin control, excessive expense structure. I could go on and on – all resulting in a steady stream of distressed middle market companies. From multi-generational family-owned or single owner and operator businesses with inadequate systems and not enough equity capital to PE portfolio companies leveraged to the hilt with debt to VC-backed and public bleeders that have been startups for a decade or more burning through tens to hundreds of millions to failed rollups, the distressed middle market has it all including real industry-specific Disruption. These beloved underperformers are in every industry and every region of the country and while they aren’t generally big enough names to warrant coverage in Petition, they provide an abundance of work for middle market professionals. Nothing will change in the next 6-9 months. There is an incredible amount of debt capital from an ever increasing number of lenders – bank and non-bank ABLs and cash flow lenders, BDCs, commercial finance companies, factors, equipment and real estate lenders. The better underperformers will continue to be refinanced out of their existing bank lenders and live to sink or swim next year. The rest can expect §363 sales, Article 9’s, ABCs, receiverships, or straight-up liquidation. It’s economic Darwinism at work. PETITION: What is one thing that most needs changing in order for middle market clients to get the most they can out of an in-court bankruptcy proceeding? Don’t get me started on this one! Chapter 11 is too expensive and lower middle market companies can’t afford it. More importantly, the lenders for the smaller borrowers don’t want to pay for it. Thus the rise of Article 9’s, ABCs and state court receiverships being utilized for smaller transactions. Almost every one of my Chapter 11 cases has two sets of counsel, a financial advisor, an investment banker, and a claims agent and that’s just for the debtor. Factor in two sets of counsel and a financial advisor for the creditors committee and another two sets of counsel and financial advisor for the lender(s) and that’s before any other professionals such as real estate advisors, special counsel, liquidators and independent board members. And, don’t forget the new UST fee schedule! The fee burden on debtors is often why there’s rarely ever a meaningful distribution to unsecured creditors. I know I’m preaching to the Petition choir, but Chapter 11 just costs too much. PETITION Note: See #1 above if you skipped the end. PETITION: We've written a lot recently about the decline in L. Brands' Victoria's Secret ($LB) line and the rise of direct-to-consumer and celebrity-backed (i.e., Rihanna) brands. You did the Peekay Acquisition LLC bankruptcy. What lessons did you learn there that may apply to L Brands and other legacy lingerie brands that are currently under attack? I learned that sexual health and well-being is a very good thing! Peekay was too small to be public and had way too much debt resulting from a poorly-implemented roll-up strategy. Victoria’s Secret has numerous issues including deteriorating product quality resulting from revolving manufacturing facilities around the world and an underwhelming yet distracting customer store experience that a huge marketing spend can’t fix. Insta-friendly celebrity brands, including lingerie and cosmetics are trending, but their sustainability is ultimately tied to quality, buying experience and the celebrity quotient. My first legal mentor told me that practicing lawyers will make a good living, but never be rich. My second legal mentor told me to become an investment banker. My investment banking mentor told me to dress well and to drink heavily. I take advice well. Two books: The 1st edition of Peter and Wendy by J.M. Barrie – the opening line “All children, except one, grow up.” I say no more. Hostile Witness by William Lashner. Bill was a colleague at my first law firm in the mid-80’s and the son of my legal mentor. He left the firm to become a writer. I am Victor Carl. 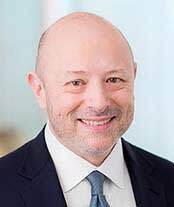 This week we welcome a Notice of Appearance by Darren Klein, a Partner in the restructuring group at Davis Polk & Wardwell LLP. We edited the dialogue lightly for content and length. Enjoy. I would highlight the recent retreat from globalism and the increase in nationalism happening around the world. Knock-on effects of a trade war with China will show up in many other countries. Take South Korea as an example. There has been plenty of press coverage asserting that South Korea would be one of the big losers in a trade war as a large supplier of products to China that then get exported to the US. Less well covered is that rising nationalism in China may continue to put independent downward pressure on South Korean businesses operating in China. The combination could create a tipping point for at-risk companies. More generally, increasing nationalism could hurt the value of foreign IP in countries where consumers associate that IP with “disfavored” countries. Distressed investors relying on foreign IP of US companies to sell at high valuations beware. Dovetailing off of the previous question, what is one notable trend that you expect to see in Q4 of this year that not enough people are talking about? What about the beginning of 2019? I don’t know about Q4 or the beginning of 2019, but not enough people are talking about batteries. Every year, computers get smaller and faster. Every year, Amazon can deliver more products almost instantaneously. Yet every year, my smartphone battery gets worse. Five years ago, my phone could go several days between charges, now my new phone doesn’t even make it a full day. The lack of disruption in the battery industry is troubling. Whichever company figures out how to disrupt the battery industry is going to chase Apple and Amazon to a trillion dollar market cap. In fact, I think this could make an interesting regular coverage piece in Petition. You are great at spotting disruption in an industry. I especially enjoy your retail coverage showing the story is more complicated than an “Amazon effect.” But you are missing an opportunity to showcase the disturbing lack of disruption over time in certain industries. Where is my my battery 2.0? PETITION Response: Perhaps you had one of those faulty Apple batteries? Did you get it swapped out? In any event, yes, batteries are a big deal. Tesla’s valuation is a testament to that. Do you value it as a car company or as a battery company? The stock market seems to be stuck in a perpetual catatonic state of confusion on the subject. What is the best piece of advice that you’ve been given in your career? When I was a junior associate, a mentor told me that the most precious asset a lawyer possesses is his or her reputation. It is very true advice, especially in our small restructuring community. A reputation takes a career to build and can be squandered in a moment. What is the best book you’ve read that’s helped guide you in your career? “Oh, the Places You’ll Go!” by Dr. Seuss. The book has a deep message. Life will not always go the way you would like, but you should never give up. You should keep working hard and focus on controlling the things within your control. The genius of Dr. Seuss is that he delivers an important message in a way that my young children can understand and want to hear again (and again . . . and again). If only more lawyers could draft that way! This week we welcome a Notice of Appearance by Navin Nagrani - Executive Vice President and Principal at Hilco Real Estate. NN: Seek out the trifecta! Pursue a career path that perfectly aligns with your passion, capabilities and ability to do well from a financial perspective. Along the way -be honest and authentic with yourself and others. This book contains very simple but powerful lessons that can be applied to both personal and professional development every single day. It’s a book that I read early in my career and has served me well on countless occasions. NN: I spend a decent amount of time in the restaurant industry dealing with all sorts of real estate issues centered on restructurings, acquisitions, financings, etc. It’s no secret that there has been a tremendous amount of distress/chaos in the casual dining arena which will certainly continue. One trend I’m starting to see are real cracks in the quick service (fast food) industry which should create opportunities for players in the restructuring/financing community over the next twelve months. NN: Changes in consumer behavior as it relates to how and where they shop and eat are creating numerous challenges to the way real estate is supposed to traditionally function. If you are a retailer or a restaurant operator – how do you successfully navigate and modify your business model and associated real estate strategy based on these ongoing changes? NN: For sure - with those challenges, come opportunities to assist in the repositioning of that real estate via our advisory group or potentially deploy capital. PETITION: Outside of real estate – what area of the financial markets are you paying close attention to? NN: Based on some recent calls I’ve been getting from workout professionals - there are a handful of BDCs (Business Development Companies) and other non-bank lending groups that have some real loan issues in their portfolio. In many cases – there were aggressive, covenant friendly loans made to private equity sponsors to support an acquisition or recapitalization. The business underlying these loans faced some sort of hiccup or head-wind that has now resulted in an overleveraged situation where the equity sponsor is pretty much out of the money and doesn’t necessarily want to put new money in. In this setting – there is a lack of liquidity and options available to fund the ongoing working capital and operations of the business. With interest rates going up – this trend should likely increase and create numerous opportunities for the restructuring community. This week PETITION welcomes a Notice of Appearance by Ted Stenger, Managing Director of AlixPartners LLC. TS: I am not a fan of business books as I think they are largely written by people who simply re-package common sense and put a fancy name on it, like ‘transformative leadership.’ Having said that, early in my career I read “Getting to Yes: Negotiating Agreement Without Giving In” by Roger Fisher and William L. Ury, which, as a young professional, I found very instructive as it focused, in part, on what motivates people on personal and emotive levels in negotiations. PETITION: What is one notable trend you expect to see in the second half of ‘18 that not enough people are talking about? TS: The bankruptcy and restructuring process has become very costly, especially in light of the fact that so many Chapter 11s today are almost exclusively focused only on the debt stack with little attention paid to fixing the operations of a debtor which often requires more time although it is where enterprise value is created. The profession needs to get more efficient, demonstrate better case management skills and therefore drive up the value equation. A soon-to-become-classic line from the 2017 movie, “Molly’s Game” sums it up. After Molly’s father, a psychologist, delivers very deep and meaningful insights to her, he says, “It is amazing what you can can accomplish in three minutes when you are not billing by the hour.” Nuff said. PETITION: What is the most under-appreciated service restructuring professionals can provide a distressed client? TS: Helping management redefine success, both for the organization and, perhaps just as importantly, at the personal level for the company leader. While restructurings and bankruptcies don’t have the “taint” of 30 years ago, they are still for most individuals and organizations seen, initially at least, as a failure. Many if not most clients have not been through real corporate trauma. There is fear and shame permeating the organization and its leadership. Restructuring professionals sometimes don’t fully appreciate this as we have already “seen the movie” many times. Therefore, helping re-define success as early in the process as possible can be a key element of a successful reorganization. PETITION What is the biggest disservice that restructuring professionals are doing to clients? Don’t pull any punches. TS: Clients need to understand what will happen in the beginning, middle and end of the restructuring, and understand it from several vantage points. Restructuring pros sometimes fall short on that front. The most obvious one is what is the legal and court process. Second, is fully explaining what the likely obstacles to a deal and what should be expected as to the behaviors of various constituents. Third, what are the implications to operations, employees and customers and how and when can they be addressed? All these are sometimes not done well by restructuring professionals, resulting in less efficient and effective restructurings. Or, in some instances, these things are done once, but not repeated enough. Or, in other situations, the professionals cannot explain all three, as they haven’t done their own homework and simply aren’t knowledgeable enough. PETITION NOTE: Yikes. Sure sounds like clients are getting a ton of bang for that $1,750/hour buck. LP: Making a quick and good decision with bad information is much better than a slow and perfect decision with perfect information. In our business sometimes its better to make a pretty good quick decision rather than waiting too long and the decision being made for us. This was taught to me by one of my mentors 15 years ago and has stuck with me. LP: As cliché as it may sound, both Fountainhead and Atlas Shrugged by Ayn Rand have had a huge impact on my life. I think the focus on independence, objective thinking, and having a philosophical spine (regardless of whether you agree with it) have turned me into a better practitioner and leader. I also think there is a big emphasis on non-conformist thinking which is, in my opinion, the essence of creative thinking and solution making. LP: More of the same. I think people are expecting things to change, but I don’t see it. There is a lot of talk about a restructuring bubble building, maturities rising, a new real estate bubble, and other themes like this that I’ve heard throughout my career. I’d expect that things will basically stay as they are right now until something absurd or otherwise totally unexpected comes and punches us all in the mouth. PETITION NOTE: This is a fair point. Everyone gets in the business of prognosticating but the last several cycles started due to wholly unforeseeable exogenous events. LP: Emotional support of clients and principals. We work primarily with middle market companies — including family-owned businesses. Compassion and empathy are underrated skill sets. We could callously conclude “this is just business,” but, ultimately, we’re dealing with emotional beings caught in an insanely stressful situation. People find themselves retaining us because something bad usually happened, and its very rare that those bad decisions that led to our retention were intentional or otherwise nefarious. I go into situations without preconceived judgement and with the objective of understanding a situation rather than rashly concluding that a person is dumb or unsophisticated. It’s rarely the case that someone is those things, and it’s dangerous as a practitioner to assume so. PETITION: What is the biggest disservice that restructuring professionals are doing to clients? LP: Restructuring — particularly formal restructurings — have devolved into a very litigious, expensive, and inefficient way to work out complex situations. A big part of this is the e-mail “thuggery” that is prevalent in these situations: it is more focused on getting a “gotcha” rather than a solution. If people really were trying to get to the right answer, I’d expect that there would be a whole lot more phone calls and face-to-face meetings, rather than 30 person CC lists and 27 versions of documents. If we take the approach that we’re trying to solve the problem, park aside the anger and posturing that comes with the process, and try to work towards a solution knowing that everyone is being impacted, we’ll collectively provide more value to our clients.